Global Hotel Alliance (GHA) is the world’s largest alliance of independent hotel brands, encompassing over 300 upscale and luxury properties (i.e. Anantara, Kempinski, Lungarno Collection) in 54 different countries. GHA also includes Pan Pacific Hotels Group that comprises two acclaimed brands: Pan Pacific and PARKROYAL. Pan Pacific is a leading brand in Asia and the Pacific Rim with hotels offering premium accommodations and services, while PARKROYAL is a collection of leisure and business hotels and resorts located in the heart of cities and fascinating locales across Australia, China, Malaysia, Myanmar, Vietnam, and Singapore. 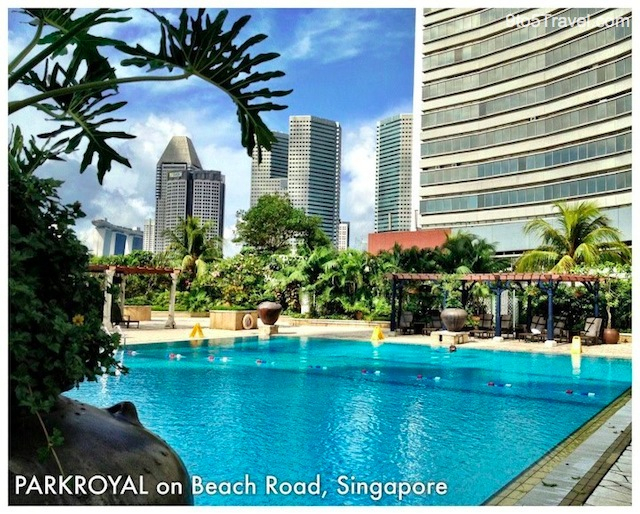 PARKROYAL on Beach Road, Singapore is perfectly situated in the tiny tropical country’s city centre. Dine in the hotel’s delicious restaurants (such as Plaza Brasserie), partake in the property’s fantastic facilities and indulged in its amenities, and enjoy great shopping nearby. PARKROYAL’ prime location in the heart of downtown Singapore gives you easy access to explore the eclectic neighbourhoods such as delightful Kampong Glam with its distinctive shops and a wide array of ethnic cuisine. Informative PARKROYAL employees offer extensive knowledge of the city so definitely ask them for guidance when planning your Singapore excursions. 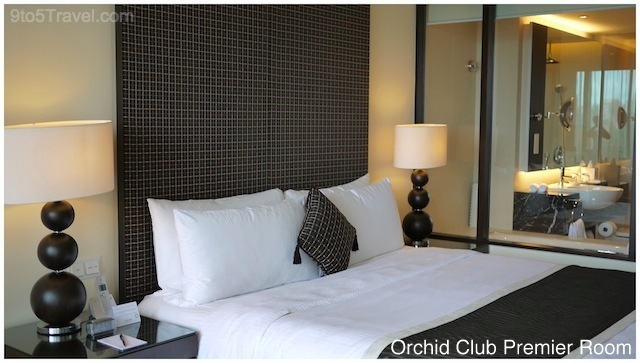 The Orchid Club Premier Room is where you can experience opulence in a spacious, comfortable setting. This executive guest room’s design welcomes natural sunlight through full-length windows with views of Singapore landmarks such as the Singapore Flyer and Marina Bay Sands. The bedroom is well-appointed with modern fittings and luxurious linens, and its bathroom is furnished with premium amenities that include a separate soaker tub and standing rain shower. Apart from the Orchid Club’s lavishly furnished rooms, it also provides plenty of benefits and conveniences. 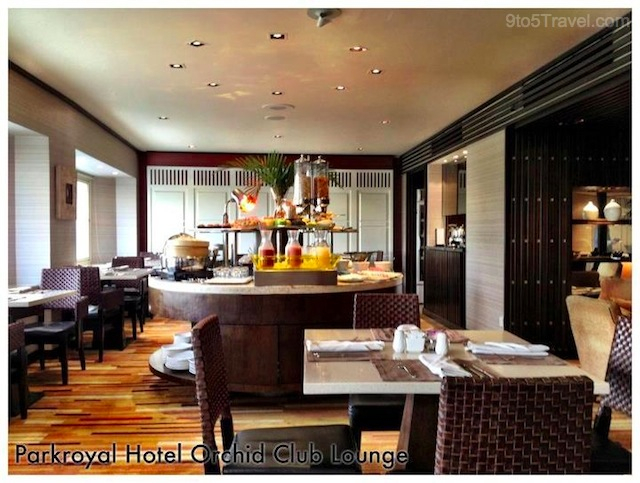 Guests have access to the round-the-clock Orchid Club Lounge which serves breakfast, all-day refreshments and evening cocktails. Best of all? The Orchid Club butlers are on hand to facilitate guests’ requests while providing excellent service. All guests have access to the PARKROYAL hotel’s substantial outdoor swimming pool, fitness club with state-of-the-art equipment and aerobics studio. The pool and sunbathing decks are set in a lush, landscaped environment adorned with beautiful Balinese artifacts, designed to ease the mind, body and soul. Book a service – from aromatherapy facials to Javanese massages – at the hotel’s St. Gregory Spa. With its tropical resort ambiance and a wide range of spa treatments to pamper and soothe, you will certainly feel like you’re getting away from it all! Many thanks to Karen Chang at PARKROYAL on Beach Road for our wonderful stay! Where To Stay Near The Dead Sea In Jordan?